On July 2nd 2013 I attended the Africa Fashion Day Berlin press conference in the morning and then later on in the evening I attended the shows at the Mercedes Benz Fashion Week Berlin tents. The designers showcasing were Nadir Tati, Arrey Kono ad Romero Bryan. Africa Fashion Day Berlin was introducing to us Dr. Auma Obama as the new patron of AFDB. This was a major experience for me and I got to meet people I never thought I'd meet and actually attend a fashion show at the tents. Beatrice Oola is the founder of Africa Fashion Day Berlin and she is doing a good job. It was a big opportunity to get to interact with her and hear what her visions are for the brand. The fashion show was well produced. It was amazing to see the scale of things as opposed to what I'm used to here in Kenya. The tent we were in was the main tent and it has a capacity of 700 people sitting and 60 standing. The backstage was phenomenal and there is a lounge behind the backstage. Something I also loved was the press room. There was one everywhere I went, that is the fashion show and the trade shows. This is where the press can sit with their laptops and use the wifi provided to do their work. 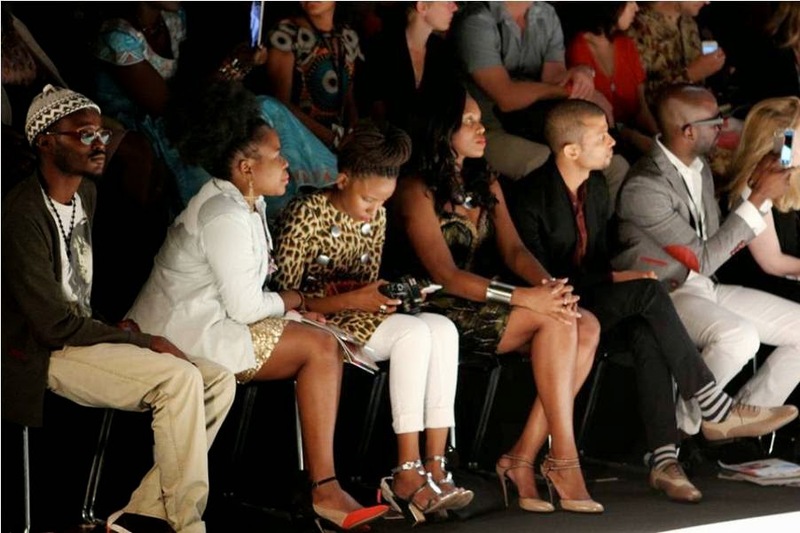 I think it is great to see African fashion in the European runways! I just came back from kenya after visiting for the first time yesterday and I loved the fashion! I discovered your blog, as you are the biggest fashion blogger in Kenya and I wanted to congratulate you for your content! I am a fashion/lifestyle blogger based in London and we write a lot about Brazilian fashion (as I am Brazilian) but I am marrying a Kenyan next year so I really want to start connecting more with Kenyan fashion brands and bloggers. Anyways, just wanted to say Hi and introduce myself! Damn Nancie, this is so awesome. So proud of you. Go girl!!!! I'm all like wow wow wow at everything. Congrats, Nancie! I love the outfit you chose for the day. Your going places, Sistah. Dear God I love those heels!!! I'm so jealous of those shoes! And the coat is my favorite WM piece! u got front row seats !! !Damn girl !